The IMO has come to an agreement regarding training requirements for sailors navigating Arctic and Antarctic waters. The requirements aim to make navigation in polar areas safer as well as make sure that all of the crew members are fully prepared for handling their respective duties when faced with special conditions, Danish Maritime Authority (DMA) commented in a press release. During the past week, the IMO came to an agreement on regulations for sailors navigating Arctic and Antarctic waters. To be more specific, this means that masters and navigating officers now have go through special training courses to be able to navigate vessels in ice. One of the several requirements stipulates that seafarers have to acquire a more thorough understanding regarding the limitations to the crew itself, the ship as well as the equipment applicable when tasked to operate in cold and desolate areas, with poor or no infrastructure present in specials cases of, for example, accidents and pollution. The requirements are to be integrated into the STCW Convention, which is the international set of rules that regulate the overall education and training requirements for seamen. Expectations are that they will enter into force at the turn of 2018, but countries are being urged to act as quickly as possible so that the regulations can become effective at the same time when the Polar Code is set to enter into force in January 2017. The requirements call for two separate training levels for the crew: a basic level and a more advanced one. 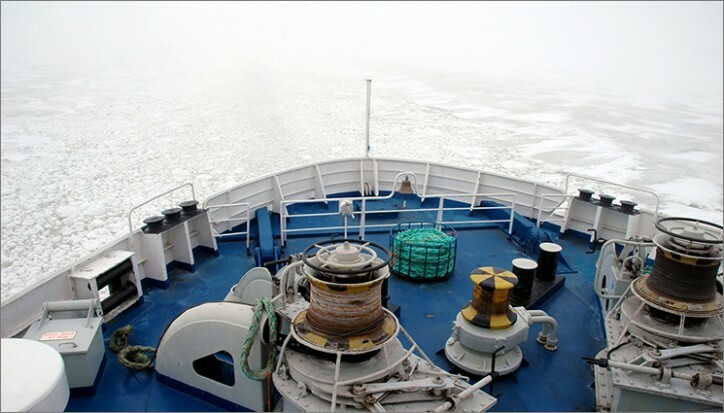 Additionally, masters and navigating officers of tankers and passenger vessels that are engaged on voyages in ice and cold conditions in general will have to comply with more comprehensive training requirements. The agreement on the regulations was reached this week during the second session of the Sub-Committee on Human Element, Training and Watchkeeping (HTW). This occurred in correlation with the up -coming internationally binding regulations related to navigation in polar waters – the above-mentioned Polar Code – and the text is now to be forwarded to the Maritime Safety Committee where it would wait for a potential approval in June of 2015 (MSC 95).